It’s only recently that I’ve learned about the huge benefits of chia seeds. I was so impressed that I decided to dedicate a whole challenge to this ultimate super food. 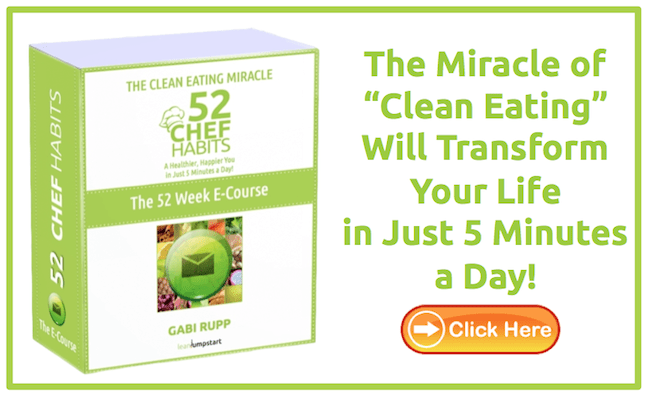 Stay with me – within just a few minutes you’ll understand why these miracle seeds are a perfect companion for a simplified, clean eating lifestyle. Why are they called superfoods? These tiny seeds from Mexico are actually taking the health world by storm. As a superfood, it is rumored that they have diverse healing powers dating back to Mayan cultures more than 3,000 years ago. In the younger Aztec culture, the protein-rich seeds earned the name “runners’ food” and were specifically used by messengers who needed to keep up their energy on their cross-empire journeys. If we are to believe in old Mexican folk medicine, then one single teaspoon of chia seed is sufficient to supply a human with nutrients for 24 hours. Let’s look at bit closer at what kinds of nutrients and other benefits this power package really has to offer. It contains an average of double the amount of protein as other seeds or grain types and provides a good relation of omega-3 to omaga-6 fatty acids with eight times more omega-3 than salmon. The calcium content surpasses that of milk five-fold. On top of this, the seeds contain the trace element boron, which supports the absorption of calcium by your body. The potassium content is double that of bananas. They even contain three times as much iron as spinach. With triple the amount of age-defying anti-oxidants, this nutrient powerhouse dethrones even blueberries in this regard. Anti-oxidants help eliminate damaging free radicals in your body. This superfood contains 20% protein, which makes it a complete protein solution to any vegetarian or vegan lifestyle. I hear you asking “nutrient” is one thing, but what are the benefits of chia seeds, what are they good for? Let’s dig deeper! Longer endurance: The small powerhouses deliver not only long-lasting energy, but they also simplify the digestion of other foods. As part of a meal, they affect blood sugar levels in a positive way, slowing down the transformation of carbohydrates into sugar. The energy from your nutrition is thereby released slower in your body. This enables a longer, more sustainable endurance when performing activities like running or other aerobic exercises. Feeling full through your day: If you soak chia before eating, they can store a larger capacity of liquid and maintain the water household in your body without weighing heavily in your stomach. It is an excellent source of hydration, especially when physically strained. On top of this, you feel full through your day without needing to eat as much food. Chia seed for constipation: Being extremely high in dietary fiber, these seeds absorb up to ten times their weight in water within a short time, making it great for digestion and healing digestion issues. Click here to check out my list of top 100 hiber foods. Supports all dietary restrictions: Chia seeds are perfect for people with a gluten allergy, offering a first-class alternative to protein-rich grains. In addition, they are nut-free, raw, vegan, low-carb, and paleo-friendly. Long chia seed storage life: While chia and flax seeds are similar in many ways, this is not true for their shelf life. Other than the cheaper flax seeds, you can store chia seeds easily for four to five years without risk of them losing their nutrient content. Show me another superfood with such a long shelf life. You can eat them raw, soaked, or milled. These seeds have no flavor of their own, that’s why they can taste like anything you want. They are a perfect match for our lean approach to clean eating as they don’t require any preparation time in your kitchen. All you need is a spoon to sprinkle them over any food you already like to eat to get your daily recommended amount. Add them to your cereals, oatmeal, yoghurt, salad, etc. Make it a daily habit to sprinkle 1 teaspoon of chia seeds over your salads or integrate them in your breakfast cereals each day. I’m reaping the its benefits automatically each day as part of the homemade muesli I eat in the morning. Practice awareness in your family. You can imagine that this super food doesn’t not come with a cheap price tag. By adding them to your meals regularly, you give you and your family a big health gift and a wonderful reward at the same time. Use chia in sauces as a thickener and to cakes and muffins as an egg replacement. 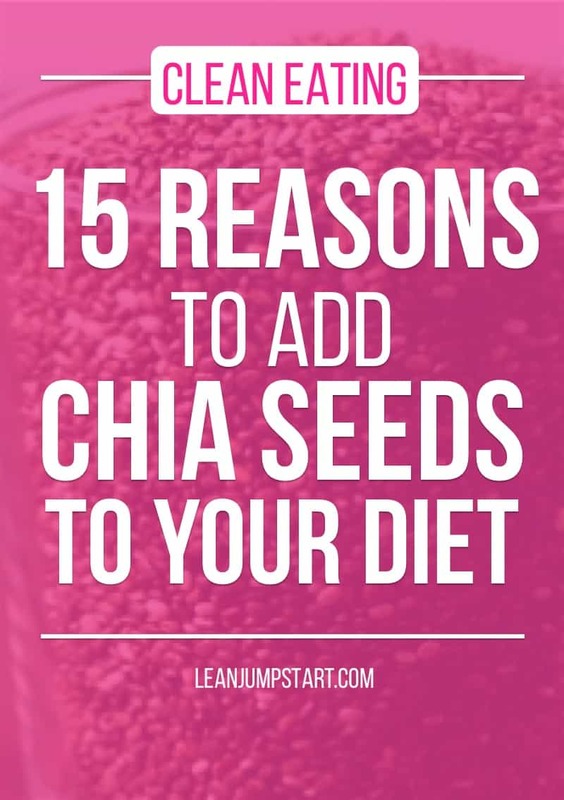 If you are weight conscious, then cooking with chia seeds is a must! Did you know that you can cut out half the butter/fat of a delicious muffin or brownie recipe and have it taste exactly the same? You can even replace eggs with chia. Soaking chia seeds in water or other liquid results in a “chia gel”. This has to do with the huge chia seeds fiber content. The water-soluble dietary fibers on the outer layer of the seeds absorb liquid and form a gel cushion around the individual seeds. 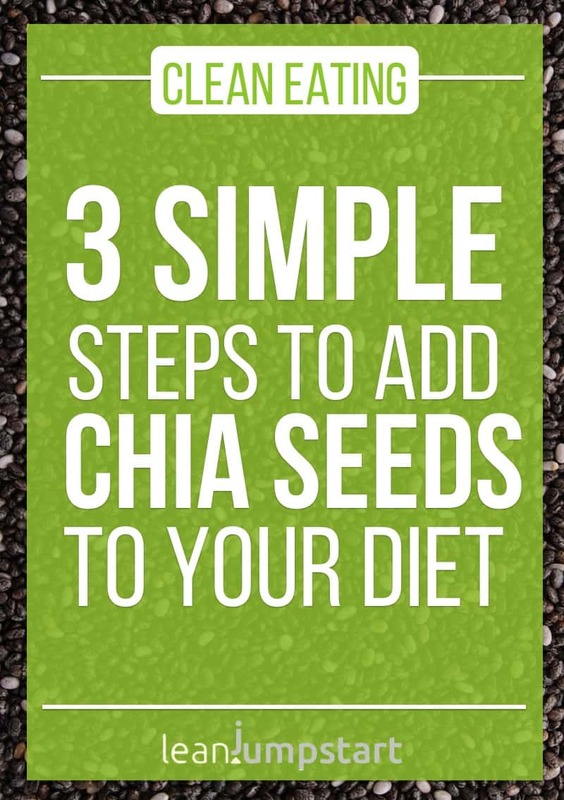 Do you know chia? If no, how are you planning to use them after you read my challenge? If yes, how do you actually bring chia seed benefits into your life? Let me know your thoughts and best recipes in the comment section below! I add chia seeds to my oatmeal and egg-white omelets, but am wondering what the recommended daily amount is. Looking forward to giving the chia pudding recipe a try. Thanks..
yes, adding chia seeds to an oatmeal or egg-white omelets is a no-brainer:) I’m sure you will love the chia pudding too. Your question regarding recommended daily amount: For USA I didn’t find any restrictions on how much chia seeds you can consume per day. But consuming 15 grams (1 tablespoon) of chia seeds will fulfill your daily requirement of omega-3s. Maybe interesting to know… in Germany where I live, chia seeds are quite new, so they restrict the daily amount you can consume to 15 grams per day. I’m glad you took another look at this food. I understand the sentiment in not taking superfoods to cancel out not so super choices. but i think there is no need to throw the baby out. I have heard chia is good on pasta, and that they form a gel. I do not know how to use them. The idea of a smoothie does not appeal to me. I’m not often in the mood for a muffin, but maybe? I occasionally play with them in my mouth, and chew them up, for a bit of fun. looking forward to hearing of how they can be tasty and useful in recipes! and chew them up, for a bit of fun like you do it, is perfect too! The gel form you describe is achieved through soaking chia in liquid. That’s why they are perfect suitable for puddings and other desserts. I like to eat chia puddings, a healthy version of a sweet treat.